The garage is often one of the most used spaces in the home. It’s used regularly for vehicle and personal storage, and as a main entrance into the home. 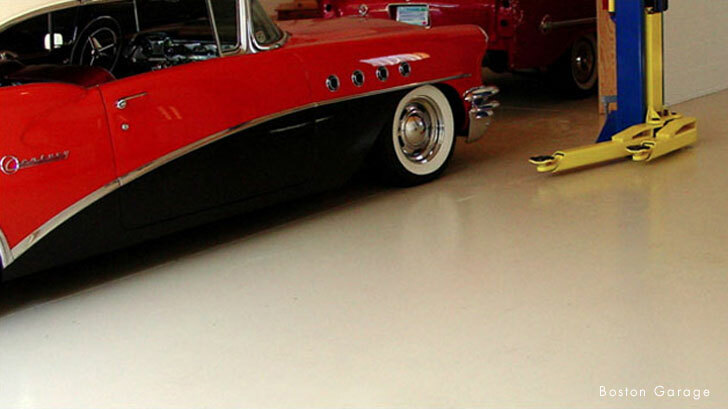 With high-traffic in garages, high-performance floor coatings are a must have. 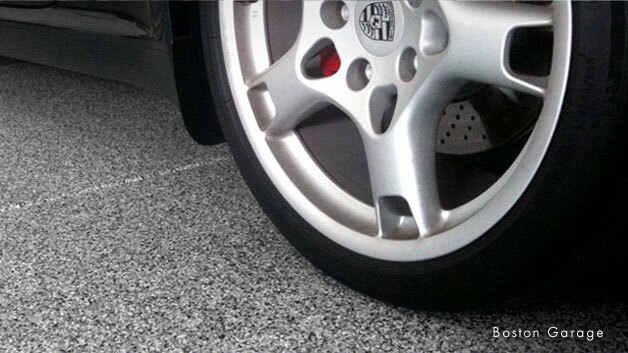 Boston Garage specializes in garage flooring. They provide high quality, durable and easy to maintain surfaces. The garage will be finished with a beautiful, practical design. Finishes are available in hundreds of various flake combinations and contemporary, attractive finishes that can be customized to taste. Floors will stay looking new for years. 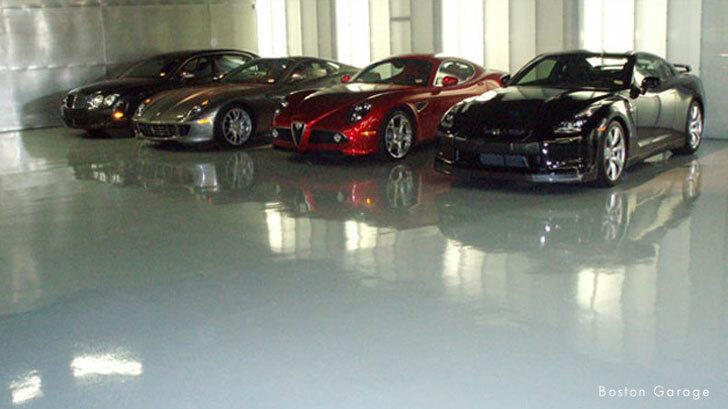 Boston Garage’s coating has 100% UV protection and concrete surface coating systems that won’t wear through or peel. The coatings are permanently bonded to the concrete, which will also prevent damages. Floors are easy to clean with a hose or mop, which will prevent dust and dirt from tracking inside. 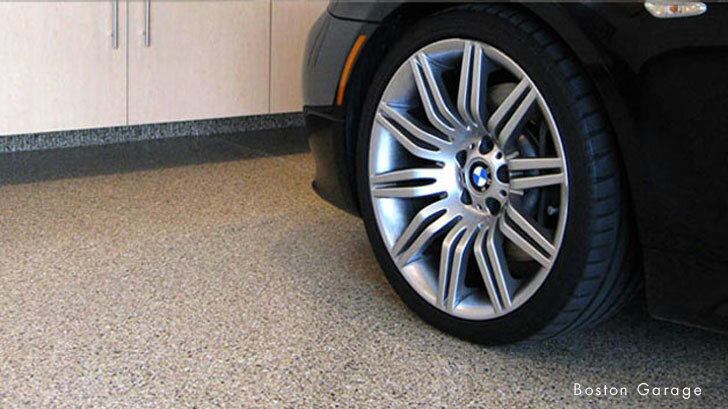 Boston Garage’s floor coatings are non-porous, so dirt, road salt, food, gas, and oil will not saturate or stain the coating. Boston Garage’s floor coating systems are environmentally friendly, non-toxic, near-zero VOC’s, and have very little odor. 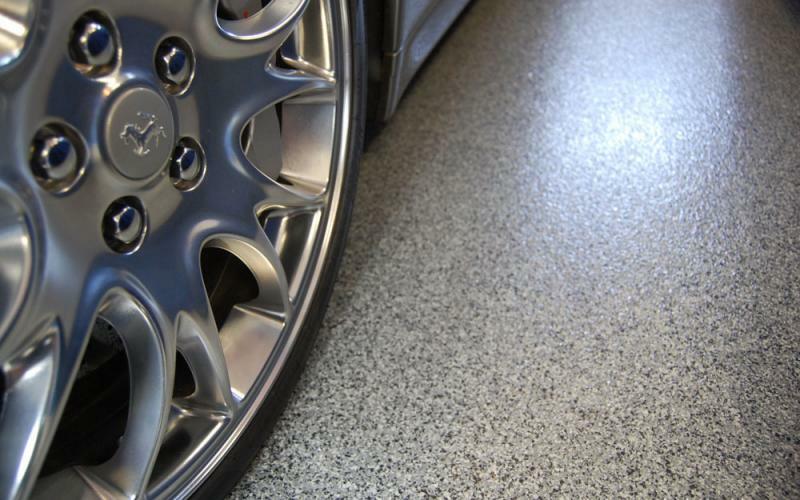 Boston Garage expects useful life of 15-years or more on floor coatings. They can be installed within 24-hours to get your garage back in use quickly! 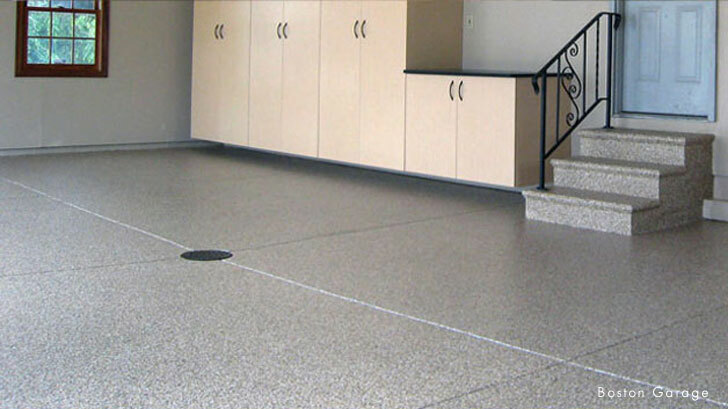 For more information on upgrading your garage floors, contact Boston Garage for a free on-site design consultation.